Put her up on the Abba Stand in the garage with the doors open - and got her doing a couple of stationary (miles) in various gears to move the oill around and warm her up. Today I decided to put one of the Xmas presents the wife got me on the bike. 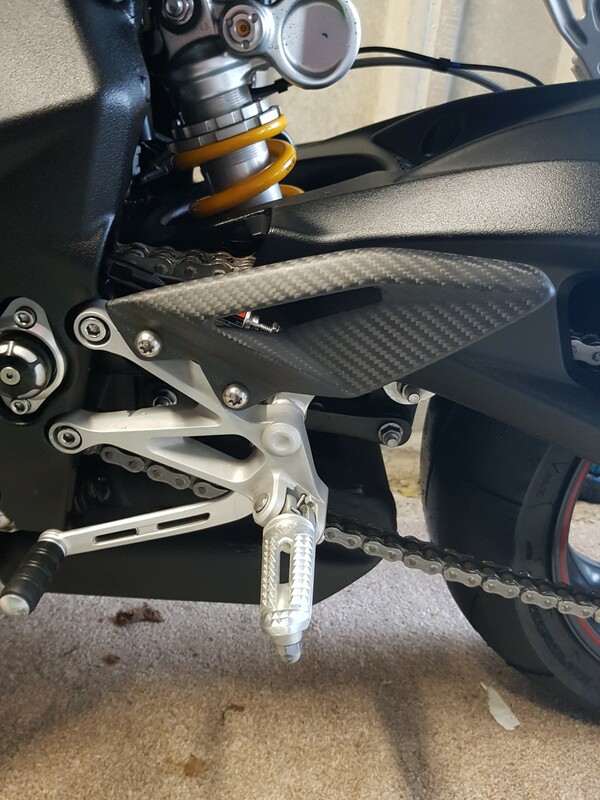 Against the Matt paint job the Matt carbon fibre twill heel guards look amazing if I do say so myself. Might have to change the bolts to black though! The look really nice  May I ask where she got them?? I will be honest with you, the company she got them from will not get another penny from me and not worth a mention but that's another story! 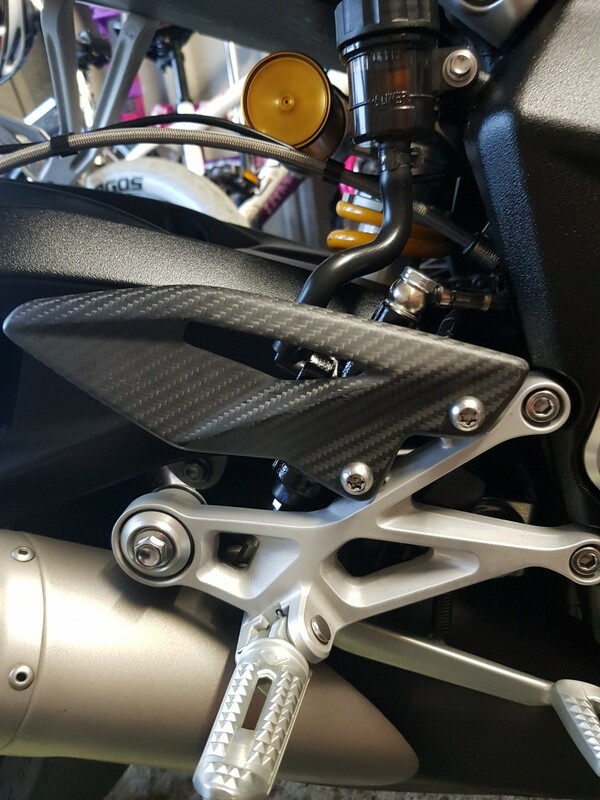 In future all my parts will be ordered from CarbonFbr without a doubt!